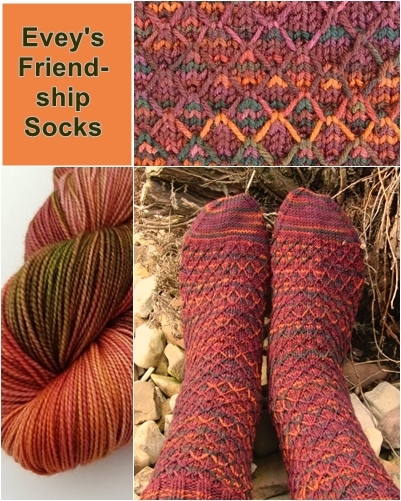 Evey's Friendship Socks - monemades Webseite! Evey loved them and I was happy she was happy. 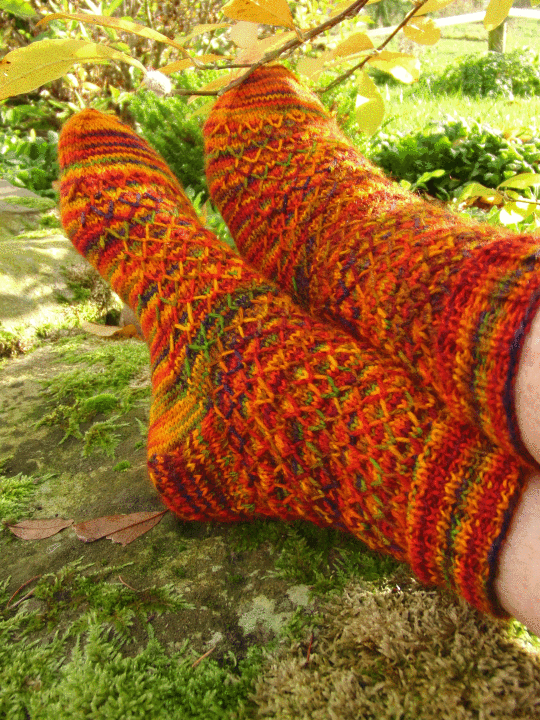 And also, I've got to admit, I was happy with the sittch pattern I came up with, because I truly think this pattern works very well with variegated yarns. 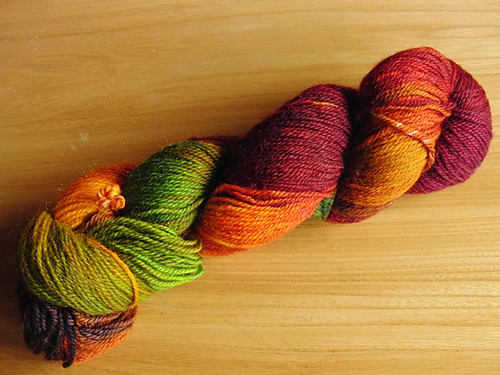 Below you can see it in another Mountain Colors yarn and to the left is the pretty variegated yarn Laurel, SpinningFates, dyed for this pattern.